🍅🥒Although we love the feeling of mixing together amazing ingredients and coming up with new recipes, there is something so so awesome about simplicity. 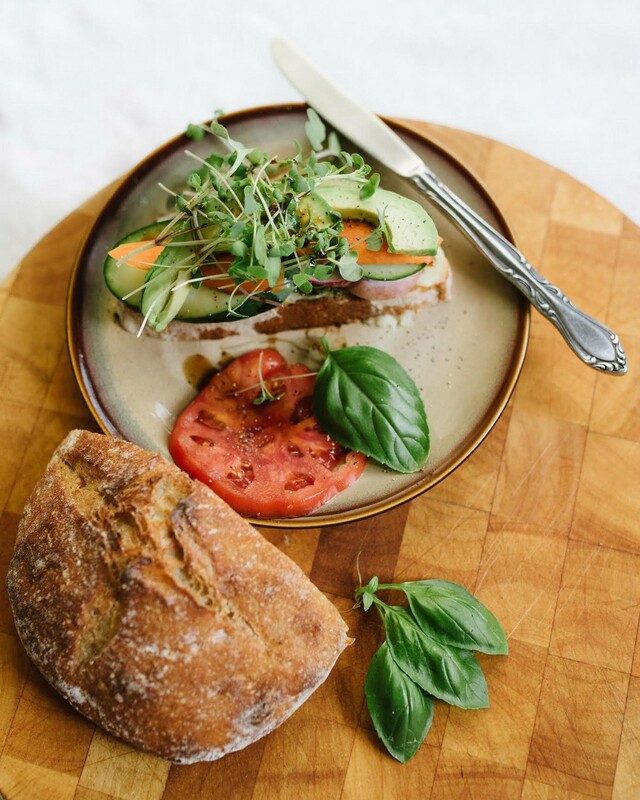 Our stacked sandwich starts with some @blueridgehemp x @goddessghee CBD Ghee on Farmer’s Market bread and is topped with local nettle pesto, radish, cucumber, carrot, avocado, basil, micro greens, and a drizzle of balsamic vinaigrette. .